The wine trade, like so many other industries, has long been a male dominated arena. The Greeks banned women from attending their symposiums. It was at these marathon eating and wine drinking orgies that the great political and theological discussions of the day took place. Women were thought to become too easily intoxicated, and prone to immoral behaviour. The sentiment was much the same in ancient Rome. Physicians recommended women be denied wine due to their weak and fickle nature. Until 194 BC, women caught drinking could be put to death, or divorced. It was also widely believed that a woman’s monthly visitor could harm vineyards and cause wine to spoil. Pliny the Elder, celebrated Roman author and naturalist, wrote that: “contact with the monthly flux of women turns new wine sour, makes crops wither, kills grafts, dries seeds in gardens, causes the fruit of trees to fall off…”. This superstition about menstruation and wine quality persisted in many winemaking regions until well into the 20th century. Women were regularly banned from French and German cellars for fear that the wine would turn to vinegar. In the London wine trade of the 1950s, tastings regularly took place in gentlemen’s clubs and other men-only venues. It was thought that women would arrive perfumed, thus spoiling the wine’s bouquet, and prone to gossip, disrupting the seriousness of the matter at hand. In the province of Manitoba, women weren’t allowed to sell or serve alcoholic beverages until 1975. And until very recently, women in many wine regions struggled to find vineyard and cellar work. They were thought too physically weak for the lifting of heavy grape crates and wine barrels. Historically, the few examples of powerful women in wine generally came from family-run ventures. Widowed wives or only childred were given the reins for lack of a male heir. And despite the achievements of such dynamos as the Veuve Clicquot, the role of women in the wine world remained marginal. Ironically, multiple scientific trials have shown that women actually have keener senses of smell, logically making them better wine tasters! The studies prove that women of reproductive age are able to detect odorants at far lower concentrations than men (and pre-pubescent/ post-menepausal women). They also have a greater ability to improve their aromatic recall with repeated exposure . I definitely found this to be the case during my pregnancies. To read my article on tasting while pregnant, click here. Fast forward to 2018, and the situation is (thankfully) much improved. Today, women viticulturists, winemakers, sommelières, wine experts and the like are far more common. In 2014 and 2015, more women than men were appointed Masters of Wine. 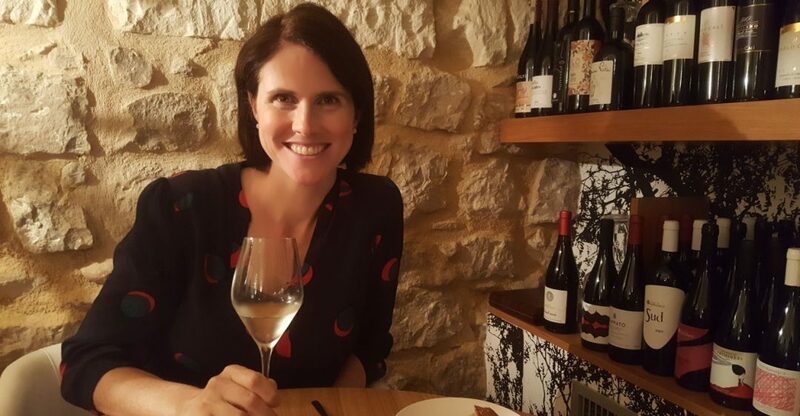 Strong female figures in the wine industry à la Jancis Robinson, Laura Catena, or Pascaline Lepeltier are leading the charge. While we may now have a strong, and growing presence, the battle for respect, and equality is far from won. Many women in wine still feel significant frustration with the on-going discrimination, and sexism in the industry. A couple of years back, I attended a “chapitre” (dinner) of the Chevalier de Tastevin at the Clos de Vougeot in Burgundy. The male speakers made regular jokes about how hard it was to be heard because there were lots of women in the room, and of course, women can’t help but chatter. I happened to be pregnant at the time, and my waiter rudely refused to bring me a spittoon, asserting that I would be bothering my neighouring diners, and should just abstain. Faced with my insistence, he finally plonked a large plastic bucket down at my feet, his disapproval awash on his arrogant face. So while I raise my glass to celebrate how far we have come, I also toast to the day where such pathetic and disrespectful situations are a thing of the past. Without further ado, here are a list of delicious wines crafted by women, from a recent, themed tasting in Montréal. Lively blend of Chardonnay, Chenin Blanc, and Mauzac. This fresh, medium bodied sparkling wine is brimming with attractive honey, ripe lemon, red apple and floral notes. Broad, rounded, and moderately creamy on the palate, this dry bubbly offers great value. This Sicilian blend of indigenous grapes Inzolia and Grecanico, is a great every day, pre-dinner white wine. Crisp, light-bodied, unoaked, and bone-dry, with zesty lemon flavours lifting the mid-palate. Subtle bitter almond notes linger on the finish. Intriguing nose laden with aromas of fresh bread, ripe lemon, white flowers, and stony mineral hints. Fresh, creamy, and broad on the palate, with moderate concentration, and layers of honey and citrus on the long finish. Very attractive! Elegant aromas of gooseberry, nettles, and citrus, are underscored by hints of tropical fruit. Racy acidity on the attack is softened by the medium body, and concentrated core of juicy red apples and grapefruit. Bone-dry, with a long, lifted finish. This is high quality Loire Sauvignon Blanc, at a very nice price! Pretty black fruit and spiced notes on the nose. This easy-drinking, unoaked red is medium in body, smooth, and rounded. For just over 15$, you can’t go wrong. Restrained aromas of cassis and black cherry, with earthy, gamey undertones. Lively acidity gives way to a medium body, firm structure, and dry finish, with subtle cedar nuances. Slightly lean and linear on the mid-palate, but attractive nonetheless, with dark fruit and earthy flavours. Ripe red berries, red cherry, and brambly notes feature on the moderately intense nose. The palate is light in body, with modest freshness and a lovely silky texture. Juicy red fruit and candied black cherry flavours abound. Subtle oak spice is well integrated, however the 14% alcohol is a shade warming, and the firm tannins are just slightly astringent. This bold, deeply coloured red is a blend of Syrah, Carmenère, Merlot, Cabernet Sauvignon, Mourvèdre, Malbec, and Petit Verdot. Fragrant aromas of both fresh and jammy dark fruits mingle with hints of cedar and wild herbs on the expressive nose. Full-bodied, smooth and velvetty on the palate, with vibrant acidity that lifts the concentrated core of sweet fruit nicely. Attractive oaked nuances of cedar, spice, and tobacco linger on the finish. Moderately concentrated, complex aromas of black cherry, blueberry, and dried flowers are underscored by earthy, spicy, mineral hints. Fresh, full-bodied, and firm in structure, this moderately tannic, dry red needs a couple hours of decanting to unwind. The freshness, depth of flavour, and powdery texture are all in perfect harmony here. Ageing in seasoned oak casks brings lovely earthy nuances that linger on the finish. Intense aromas of lemon curd, quince, and baked red apple feature on the nose. Racy acidity ably balances the sweet finish on this medium bodied, zesty, honeyed dessert white wine. A perfect partner for lemon meringue pie!